...and DYSU challenge - Use Your Favorite Color. I have several faves, green among them. This is going into the kit of cards for my step-mom's birthday gift. She likes to keep a supply of my cards on hand to give to others. Hope she likes this one! I didn't include any details on the making of this card, but if you have questions, feel free to ask away! My email address is on the right sidebar, near the top. My blog may be rather quiet for the next week. My mom arrives for her week-long visit tomorrow, and we will be spending time with each other. I'm sure I can sneak onto the computer a bit here and there, but probably won't be visiting blogs until after she goes home. Thanks for joining me! Have a wonderful week. Fabulous card! That butterfly just glows! Beautiful job! Oh Colleen, this is gorgeous. I love the butterfly! 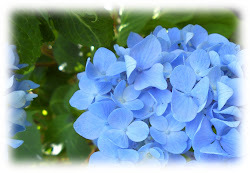 Please stop by my blog when you get time. I have something for you. Gorgeous card, love the butterfly! The colors on it are so vibrant. Have a great week! this is super adorable, thanks for playing Mojo Monday...have a wonderful weekend! Lovely mix of sets you used on this card and well done with the sketch. Sure she will love it. Enjoy your time with your Mom!!! Your card is so pretty! Love the serene peaceful feel! I am sure your stepmom will be happy to add this to her stash. I don't see how she couldn't like it, Colleen! It's beautiful! LOVE that bold, bright butterfly! It really packs a punch! Marvelous card Colleen. Have a great visit with your mom!!! What a beautiful card. Enjoy your time with your mother..
What a lovely card Colleen. That butterfly is gorgeous! Just pretty colors. 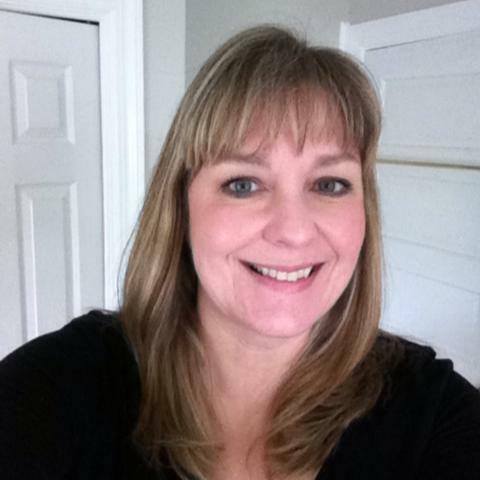 Just beautiful colleen! That butterfly just pops! A super card with a beautiful butterfly. Hope you enjoy you visit with your mom. So PRETTY, Colleen! I especially LOVE the color of the butterfly and themusic background! Beautiful and very elegant. Thanks joining us at Do You Stack Up. Seriously, your card is gorgeous. I love the MM sketch and hope I get a chance to play along this week. Beautiful papers too! Your bright butterfly is BEAUTIFUL!! 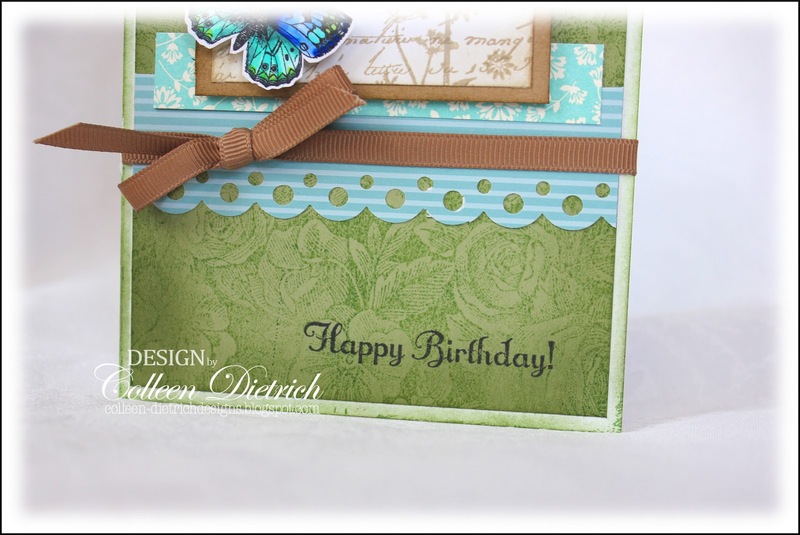 I love the colors you put together for this lovely, soothing card. Fantastic! Your step-mom will love it. And never send it someone; I thin kshe frames it and puts it in her living room. And so would I :)'The butterfly is an eye catcher; one of a kind and breathtaking! Oh, my, I looked at the photos of your bathroom and it's gorgeous! The details are wonderful, just like your cards. Coincidentally, we're working on my bathroom right now, too. By the way, your step-mom is sure to love this card. I like how you brought out the gorgeous Floral background for this. Very pretty! 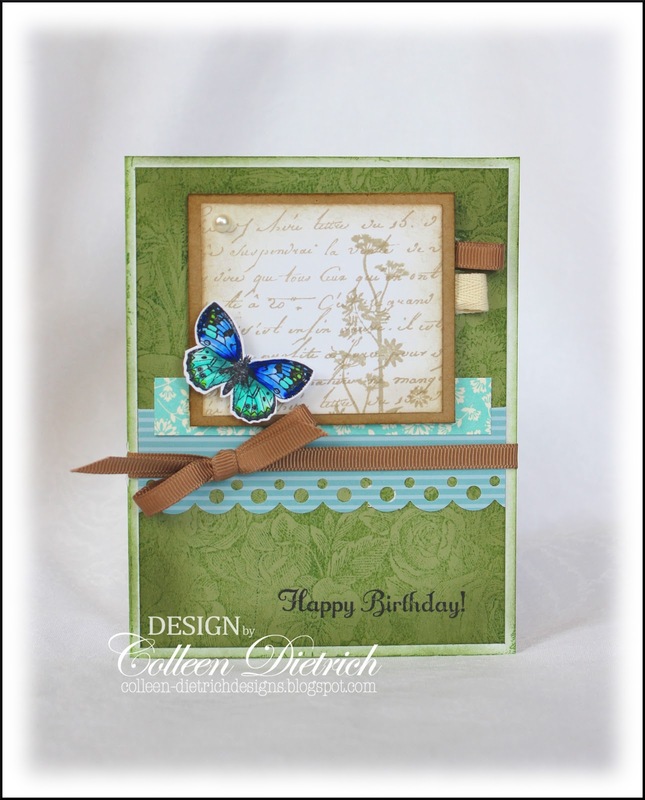 VERY pretty card, Colleen--gotta love that butterfly!! Sp pretty as usual! Love the colors and the butterfly too! Going to check out your new blog! Oh, gorgeous! 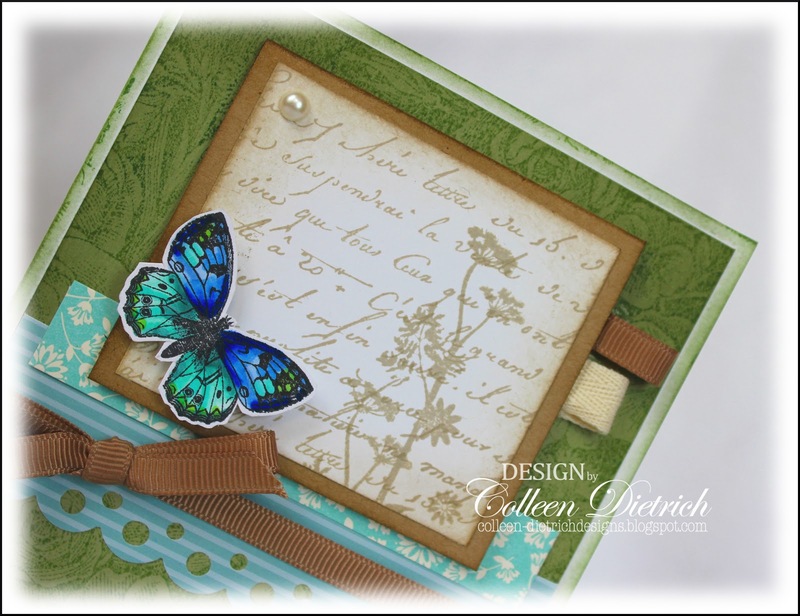 Love that butterfly and the wonderful color combination! The sponging on the text print looks great, too!